Want to come join me on my crazy adventures? My name is John Borowski and I am a filmmaker and author specializing in documentaries/books on serial killers and horror films. I have directed and produced award winning documentaries on some of history's most heinous murderers such as H.H. Holmes, Albert Fish, Carl Panzram as well as authored books on Jeffrey Dahmer and Ed Gein. I have been told that I live a fascinating and interesting life. Would you like to take this journey with me? One of the best aspects of Patreon is that you can be a patron of mine from ANYWHERE IN THE WORLD! So whether you are in Australia or Africa and would like to follow along with me on my journeys, NOW YOU CAN! 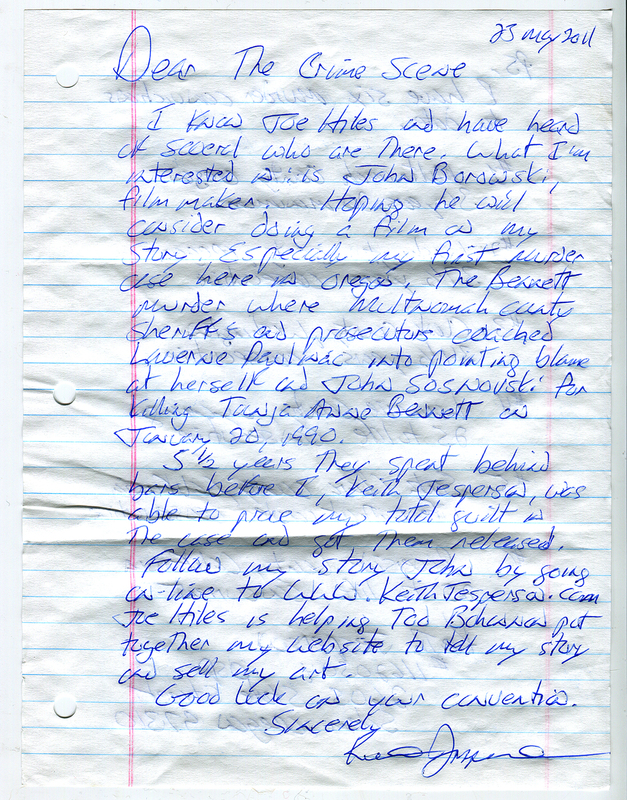 Some of the locations I have been to are: Ripley's Believe It or Not Archives, Leavenworth and Dannemora Prisons, H.R. Giger Museum Switzerland, San Diego State University (Panzram Papers), Chicago jails location filming, and so many more! 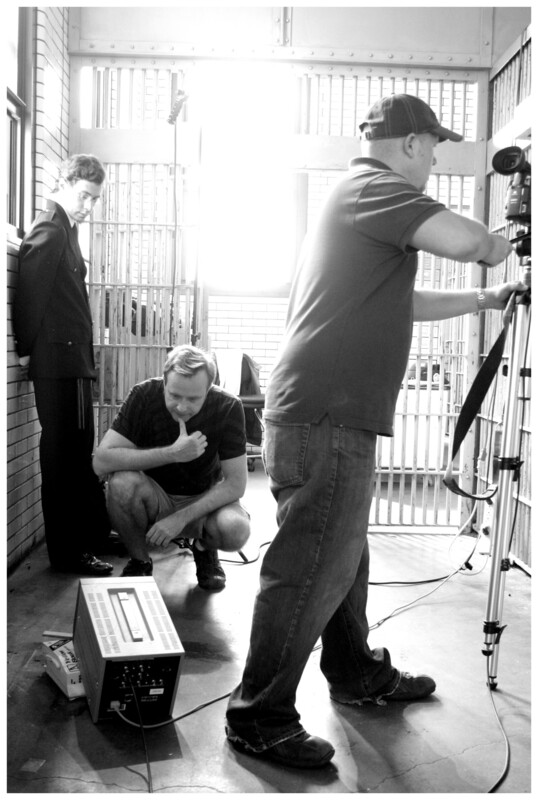 Filmmaker John Borowski directing for Carl Panzram on the set of the Chicago jail where Public Enemies was filmed. Once the $100 monthly goal is achieved, patrons will be the first to see exclusives like sneak peeks to new works and insider information on upcoming works. I intend to make this interactive so that my patrons can also give feedback on current and future projects. Once the $250 monthly goal is achieved, I will begin a 1 hour monthly video group chat where we can all talk and discuss my projects, making a personal connection to my patrons worldwide. Once the $500 monthly goal is achieved, patrons will be the first to be offered items and special offers such as props and memorabilia for sale from my personal collection. Once the $1,000 monthly goal is achieved, I will begin a podcast and all patrons will have access. Once the $1,000 monthly Goal is achieved, patrons can view EXCLUSIVE PATRON behind the scenes material from Borowski’s past and current works. 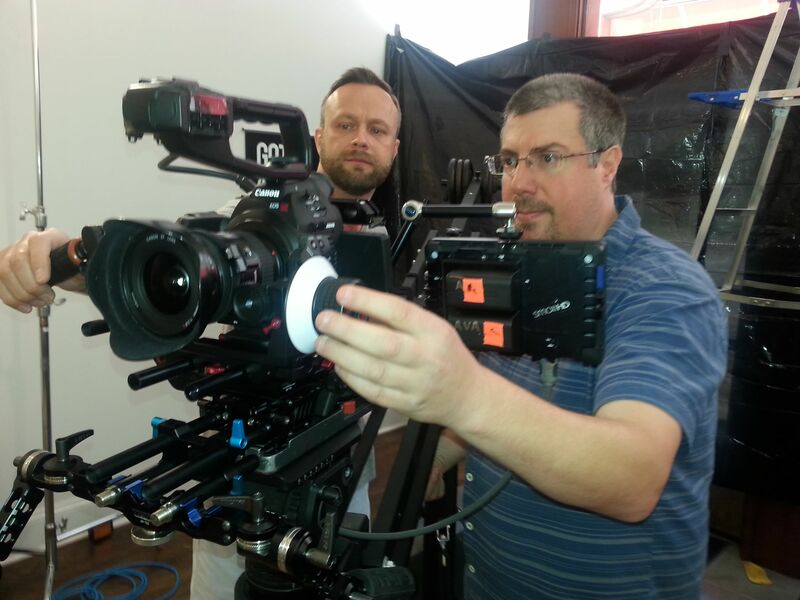 Be the first to see new trailers and behind the scenes footage for Borowski’s upcoming films and books! ALL FUTURE DVD, BOOK RELEASES AND CREDIT! For $25 or more per month, you will automatically receive every future Borowski DVD or Blu Ray release, autographed and personalized. For $50 or more per month, you will receive every future book release and credit as a patron/contributor in all of Borowski's films and books (Contingent on continued patronage). The possibility or being considered for an extra or actor role in a John Borowski production! This is the ultimate goal. I am at a decent financial place where I can make my art and not have to worry about how my films and books will be made. I am fully funded by my patrons and create art, films, and books while creating art for the world. COME ALONG ON THE WILD AND FASCINATING RIDE! If you do decide to join me and become a Patron of my arts, then prepare yourself for a wild ride as you will be joining me on many of my experiences such as meeting celebrities, artists, collectors, serial killers, and law enforcement individuals. Follow me as I film in and visit prisons, museums, universities, crime scenes, historical societies, and haunted locations. Join me behind the scenes as I film and edit projects. Maybe your name will have a shout out by one of my interviewees, celebrities, or other talented individuals! Filmmaker John Borowski interviews Damien Echols for Bloodlines: The Art and Life of Vincent Castiglia. 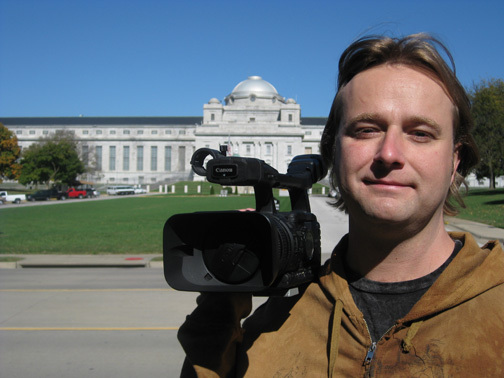 Filmmaker John Borowski at Leavenworth Penitentiary. As filmmaking is THE most expensive art form in the world, I appreciate your interest in my work and becoming a patron of my art. Also being an entrepreneur I wear many hats through the course of my various projects. All of this takes time and money. 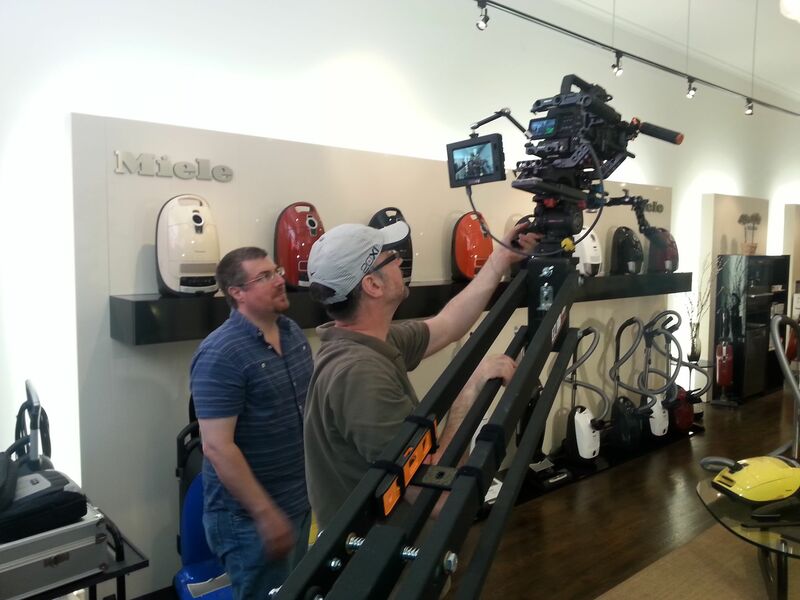 The images above illustrate how much equipment is needed to film and funds are necessary for cast and crew as well as materials. I have always been a one man band, hiring cast and crew members as needed but doing the bulk of the work myself. But my business has outgrown my income coming in. With regular income coming in from patrons such as you, I will be able to concentrate on my projects as well as hire others to work for me on projects such as an assistant to help me run my business, and cast and crew for my films including production assistants and editors ( I have always edited my own films in the past but this the most time consuming task when I am wearing all the hats). By becoming a patron of mine, YOU WILL ALSO BE GIVING BACK TO AMERICA'S INDIE FILM COMMUNITY ECONOMY, thus helping other indie artists to survive as well. The goal of my creating this Patreon page is to spend more of my precious time working on my projects, rather than working menial jobs which have nothing to do with my chosen career and thus taking my time away from concentrating on creating and delivering the projects that you would like to see, read, and experience! 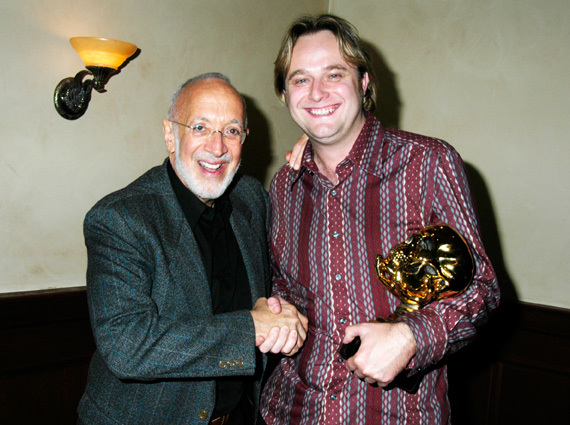 Borowski to make a film on his life. If you have ever wondered how you can help support me monthly as an independent artist, then you have come to the right place! Sign up as a monthly Patron and you will receive many great rewards that are patron EXCLUSIVES such as the monthly VIDEO CHAT and RARE BEHIND THE SCENES FOOTAGE. Make others jealous and envious by being the first to learn about my upcoming projects such as: Continuing my TV show Serial Killer Culture TV, my next documentary on serial killer Jesse Pomeroy, and my books including Panzram at Leavenworth, my next book. If you don't think your help matters, consider this: If I have 330 patrons at $25 each, that is a total of $8,250/month. $25 is the price of a couple hamburgers for lunch for ONE DAY. If you have some extra funds and would like to see more work from me produced on a regular basis, then this is your opportunity to show your true interest. Thank you so much, I truly appreciate your interest in my work. Designer of the castle of horrors in 1893 Chicago. Vincent paints in human blood. The psychopath who wrote his autobiography in 1928. Artists and collectors of true crime artifacts. 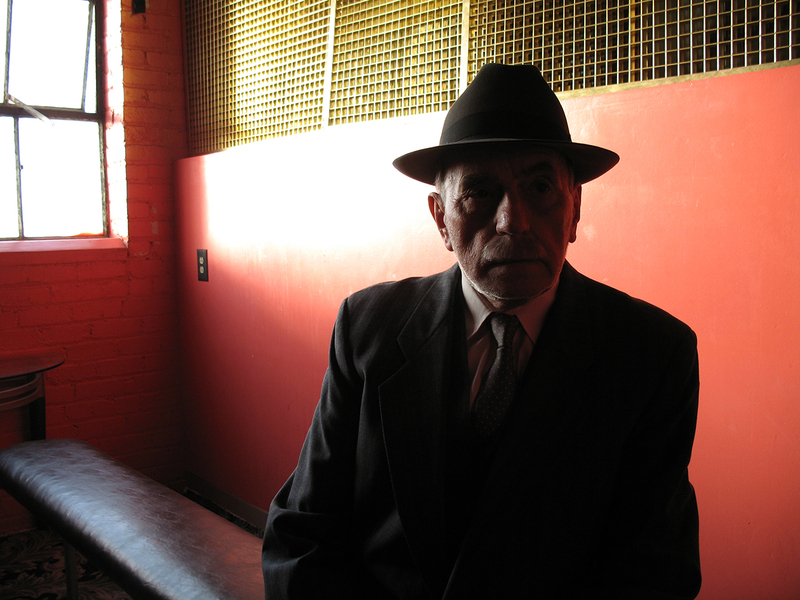 The elderly cannibal from 1920's New York City. A TV show featuring those involved in the serial killer culture. Contains 3 books from 1895/1896. Contains Gein's Interrogation and confession. Contains Fish's confessions and psychiatric reports. You're officially a beginner patron! You will have access to my exclusive patron-only blog posts (once $100 goal is unlocked) where I will relate first news about current and future projects. PLUS you will receive an autographed postcard of my portrait, the original was painted in my own blood! Bloodlines DVD. Access to monthly video 1 hour chat (once $250 monthly goal is unlocked) with me where you will have a chance to pick my brain (not literally). Access to podcast (once $1,000 goal is unlocked). Every future DVD or Blu Ray release autographed (contingent upon your continued patronage). Access to the artist blog, plus all previous rewards. DVD's of Bloodlines and Serial Killer Culture TV Season 1. Every future book release autographed (contingent upon your continued patronage). Your name will be listed as a contributor/patron in all of my future books and films. FIRST OFFERS! (once $500 goal is unlocked)You will be the first to be offered any film props, memorabilia, serial killer bundles, or other items I have for sale, plus all previous rewards. DVD's: Bloodlines, Serial Killer Culture, Serial Killer Culture TV Season 1, Carl Panzram. Book: Dahmer's Confession, plus all previous rewards. 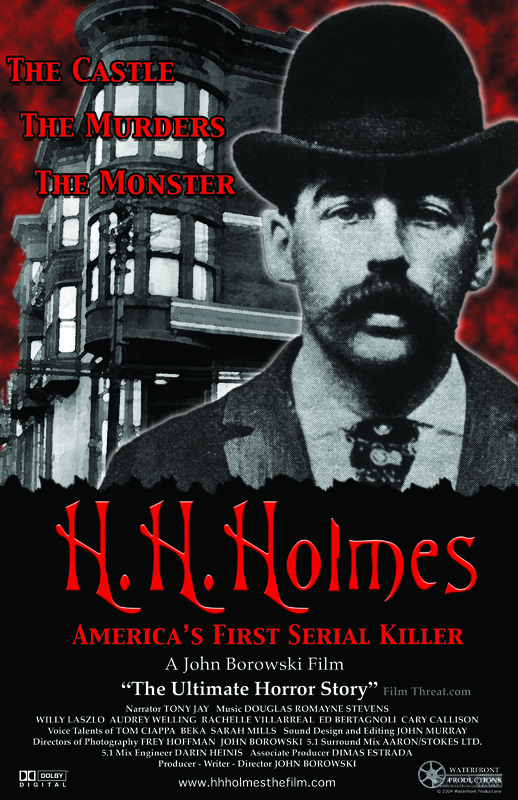 7 DVD collection of John Borowski DVD's: Bloodlines, HH Holmes, Albert Fish, Carl Panzram, Serial Killer Culture, Serial Killer Culture TV Seasons 1 & 2. Book: The Ed Gein File. Every future DVD/Blu Ray AND book release autographed (contingent upon your continued patronage) , plus all previous rewards. 7 DVD collection of John Borowski films: Bloodlines, HH Holmes, Albert Fish, Carl Panzram, Serial Killer Culture, Serial Killer Culture TV Seasons 1 & 2. Books: The Ed Gein File and Dahmer's Confession. Serial Killer antique finished nickel plated brass coin. Set of 20 mugshots. Every future DVD/Blu Ray AND book release autographed (contingent upon your continued patronage) , plus all previous rewards. Books: The Strange Case of Dr. H.H. 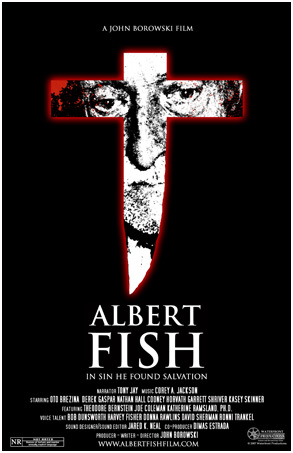 Holmes & Albert Fish: In His Own Words. You will have the consideration to appear in one of Borowski's films as an actor/extra or visit the set of a film in production. Your name will appear in all of Borowski's future films and books as a contributor/patron (contingent upon your continued patronage). You will be on the guest list to all Borowski screenings (contingent upon your continued patronage), plus all previous rewards. Once this level is achieved, the EXCLUSIVE ARTIST BLOG is unlocked. All Patrons will receive: A personal call from me to all of my $25 and up Patrons and thank each of you! At this amount per month, the business expense of internet access can be covered.